Handling tens of millions passengers every year, Haneda Airport, also called Tokyo International Airport, is one of two airports that serve the Greater Tokyo Area. It acts as the primary hub for domestic flights offered by Japan Airlines, All Nippon Airways, Air Do, StarFlyer, and Solaseed Air. It also has a small terminal for international flights to and from Los Angeles by American Airlines, Hong Kong by Cathay Pacific, Dubai by Emirates, Sydney by Qantas, Paris by Air France, and many more. 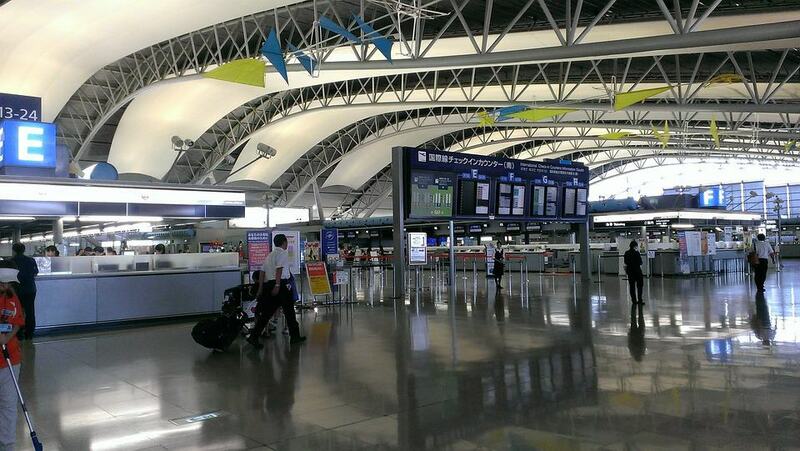 Compared to Narita International Airport, Haneda Airport is closer to central Tokyo. It is about 30 to 45 minutes by train from Shibuya, Shinjuku, Akihabara, Asakusa, and other top attractions in the city. Located in Chiba, about 60 kilometres outside of central Tokyo, the Narita International Airport is one of Japan’s busiest airports and one of two airports that serve the Greater Tokyo Area. It is made up of three terminals, and operates international flights to and from various parts of the world, including Mexico via Aeromexico, Delhi via Air India, Cairo via EgyptAir, Amsterdam via KLM, Copenhagen via Scandinavian Airlines, and United States via United Airlines. It also handles domestic routes by Vanilla Air, Japan Airlines, Jetstar Japan, All Nippon Airways, and others. An airport built on an artificial island sitting at the heart of Osaka Bay, the Kansai International Airport is among Japan’s biggest airports. Handling more than 20 million passengers each year, it consists of two terminals that operate several international routes by foreign airlines like Air France, Air India, Delta Airlines, FinnAir, and Thai Airways, and domestic flights by Japan Airlines, All Nippon Airways, StarFlyer, Vanilla Air, and Peach. It is about a one-hour train ride away from downtown Osaka. The primary gateway to Japan’s central region, the Chubu Centrair International Airport is a first-class airport situated 35 kilometres outside of Nagoya. On a yearly basis, it handles about 10 million passengers coming from and flying to foreign countries like Germany via Lufthansa, China via Air China, and Vietnam via Vietnam Airlines; and various cities within Japan like Fukuoka via StarFlyer, Naha via Japan Airlines, and Sendai and Kagoshima via All Nippon Airways. It is directly linked to Nagoya Station by the Meitetsu Rail, and a one-way trip takes only 28 minutes. The largest airport on the island of Hokkaido, the New Chitose Airport is an international airport situated in Chitose. It serves Sapporo and the surrounding areas, and handles routes offered by international airline companies like Air Busan, Air China, Cathay Pacific, Jeju Air, and Thai Airways; and domestic carriers like Japan Airlines, Jetstar Japan, All Nippon Airways, Peach, and Vanilla Air. It is only a 40-minute train ride away from central Sapporo, and offers bus services to popular destinations in the region, such as Jonzankei Onsen, Lake Shikotsu, Niseko, and Obihiro. The primary airport that serves the island of Kyushu, Fukuoka Airport is an international and domestic airport that ranks in the top 5 busiest airports of Japan. It serves more than 20 million passengers annually that fly with various international carriers to and from as far as Honolulu, Guam, Singapore, and Vietnam, as well as domestic destinations like Tokyo, Naha, Sendai, Osaka, Sapporo, and Nagoya. It is only a 5-minute train ride away from Hakata Station, and has bus services to Beppu, Kurokawa Onsen, Nagasaki, Kumamoto, and other tourist spots in the region. The principal airport that serves the Kansai region, Itami Airport, also called Osaka International Airport, is a first-class airport in Itami in Hyogo Prefecture. It used to handle both international and domestic flights, but currently only operates domestic routes by Japanese carriers All Nippon Airways, Japan Airlines, and Amakusa Airlines to and from Tokyo, Hakodate, Shizuoka, Naha, Sapporo, Sendai, Fukuoka, Yakushima, Kumamoto, and others. It is easily accessible from Osaka, Kyoto, Nara, Kobe, Himeji, and nearby cities by trains and buses. Serving the beautiful islands of Okinawa Prefecture, Naha Airport is Japan’s seventh busiest airport. Every day, it handles thousands of domestic passengers flying to and from Japanese cities like Tokyo, Osaka, Hiroshima, Sapporo, Fukuoka, Nagasaki, and Nagoya; and international traffic to and from Beijing, Busan, Hong Kong, Seoul, and Taipei. It offers a monorail system that provides convenient access to the city of Naha and its sightseeing spots and attractions, and also has bus services to various parts of the island.